You will join our ‘Financial Institutions’ team, a team of 50 Financial Risk Management Consultants (99% have a quantitative background). This team focuses on financial risk related projects for banks, insurers and asset managers. You will advise our clients surrounding their financial risk models, policies and governance. Four days a week you will work on-site at the client with ateam of Zanders colleagues. On Friday you will work in Bussum. On this day you will catch up your Zanders colleagues, join knowledge sessions and work on internal projects. 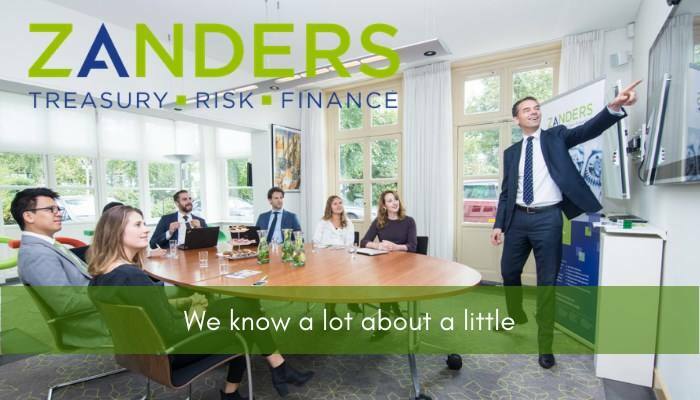 Please send your application for Consultant: Financial Risk Management at Zanders in BUssum including your CV via our website.